Adpol is a UK manufacturer of silicone rubber extrusions, ranging from simple tubing or cord to complex individual customer designs. 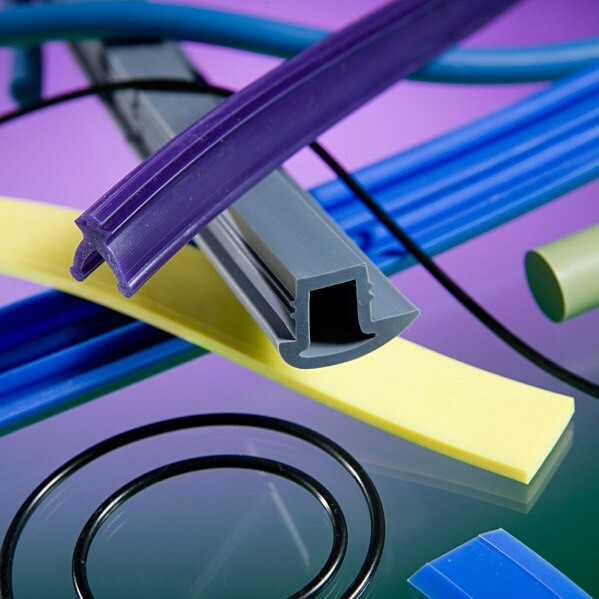 With over 40 years experience in producing custom silicone rubber extrusions we can help you find or develop the right seal for your application and needs. We can then supply it to you as extrusion or joined gaskets, reliably, competitively and with high levels of customer support. From drawing to production of a profile typically takes 2- 3 weeks and will cost around £200 for a die and first off sample. Contact us now to get a quote, or discuss your requirements in more detail. Silicone rubber extrusions can be manufactured in a range of hardnesses, colours and grades of silicone including fluorosilicone rubber, platinum cured silicone rubber, high and low temperature grades, carbon conductive, metal detectable, flame retardant and food/water approved. A detailed list of material specifications is available in our brochure. We will work with you to give you the best extrusion type for your application.